Making plans to ride his newly minted Australian #1 single 'Shotgun' all the way into the hot Australian sun, English singer-songwriter George Ezra announces a return to the sunburnt country with some colossal 2019 dates! Recently bestowed as the biggest song of the UK summer by the Official Charts Company, 'Shotgun' has taken off big-time Down Under. Its ridiculously catchy chorus and adorably quirky video clip have been inescapable, boosting Ezra's sophomore record Staying at Tamara's into the ARIA Top 10 and laying the foundation for huge 2019 shows in Perth, Brisbane, Adelaide, Sydney and Melbourne. 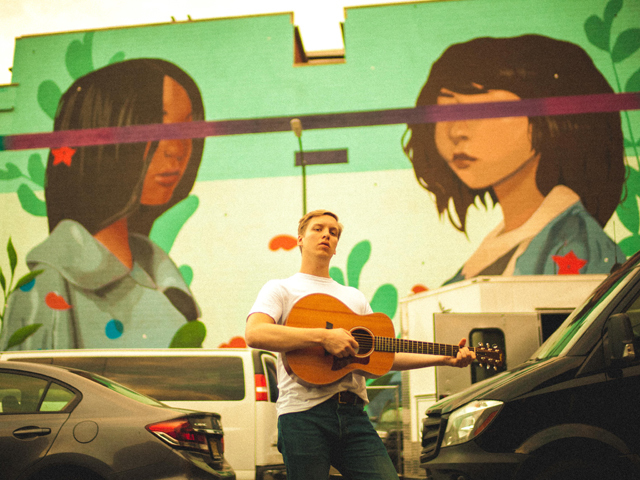 From humble beginnings as a 'have guitar – will travel' type roaming around the pubs and clubs of his native Bristol, George Ezra has dominated the musical landscape over the past few years. His debut album Wanted on Voyage is certified 4x Platinum in the UK, Gold in the US, and was amongst the top 10 biggest selling artist albums in the UK in both 2014 and 2015, reaching #1 in the Official UK Chart and spending 122 weeks in the chart overall. His sonorous, bass-baritone voice is unmistakable in a landscape littered with throwaways, and Ezra's considered approach to songcraft has resonated in a major way. Singles 'Budapest' (431 million streams), 'Blame It On Me' (2x Platinum) and now 'Shotgun', with its recent #1 status, have put him in rarefied air. The man himself is as casual and laid back as modern superstars come. In fact, he drew inspiration for Staying at Tamara's by doing just that: renting an Airbnb in Barcelona from a stranger named Tamara and allowing her artist friends to guide him through the city while he sketched out the song ideas that would become his second record. "All these songs came from this little flat," he explains. "I need to doff my hat to that". The album was an immediate hit with critics and fans alike. Released in March, it has charted worldwide and hit the Top 10 in the UK, Australia, Ireland, Austria, Germany, Switzerland and many more. As anxious to arrive as Australian fans will be to greet him, Ezra recently took to his weekly mailout to express his excitement about these upcoming dates: "Our last shows over there were brilliant (if I may say so myself)," he wrote. "For those of you reading this down-under, this kid loves ya."